This is the second part of a sequence of 6 videos each approximately one minute in length created for the Curiosity Zone at Life Science Centre Newcastle. Each piece is cyclic in nature allowing the viewer to spend as long or as little time as they want viewing them. The disparate pieces are narratively related but also stand alone as individual views into an Ark of Curiosities. 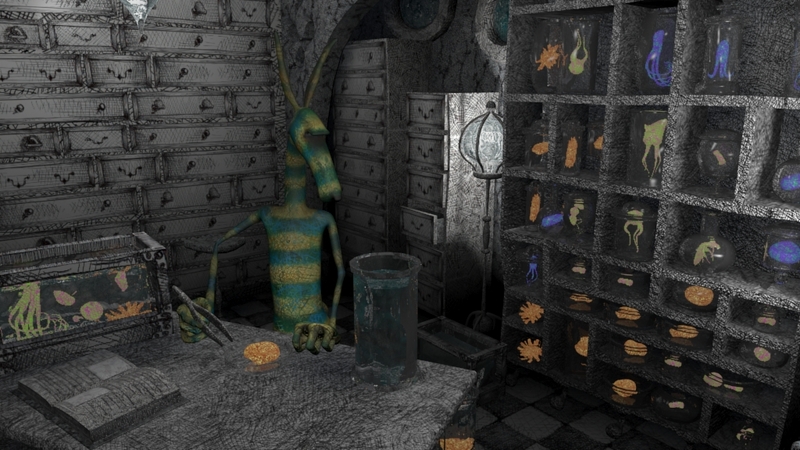 This entry was posted in Animation, Animation image, Cabinet of Curiosities, Cabinet of Curiosities – Centre For Life, Centre for Life. Bookmark the permalink.